Next time you go to Latvia you might be get hassled by a border guard who isn't even human. The European Union is funding a new pilot project to deploy artificially intelligent border guards at travel checkpoints in three countries to determine whether passengers are telling the truth about their identities and activities. It is important to note that this system will not only be employed at airports, but "The European Union will test the system at train, pedestrian, and vehicle border crossings in Greece, Hungary, and Latvia." 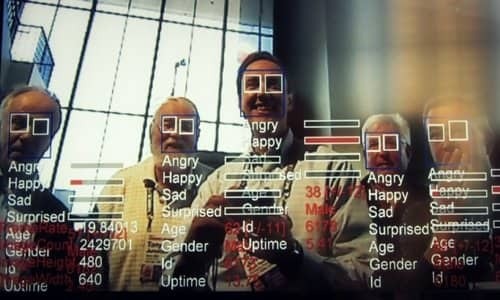 The idea that computer algorithms can decipher emotional intent has been controversial since testing and limited roll out began in the early 2000s. Even much later in 2016, I reported on a program at the University of Iowa called "The Creepy Study" which sought to decode emotions for political and advertising purposes. Despite claiming only a 35% success rate at the time, many people still don't know that facial recognition billboards have existed in multiple countries to varying degrees - including the U.S. - dating back to at least 2012 when it was first introduced in Mexico. The technique is called neuropolitics. A Russian company, NTechLab, later made headlines for its implementation of FindFace, a software that was applied to Russia's social media site VKontakte and its nearly 300 million users. The software claimed a 70% success rate in matching any photo taken to a social media profile, allowing strangers to identify one another instantaneously. FindFace was an immediate hit, signing up half a million users in its first two months. The same company then took that system, enhanced the software, and applied it to CCTV surveillance cameras. The ultimate plan was the roll out of emotional identifiers being incorporated into Moscow's estimated 150,000 public space cameras. The company claimed a 94% success rate in being able to detect markers that indicate stress, anger or anxiety.